When Will the R33 Skyline Be Legal in the USA? When will the R33 Nissan Skyline GTS and GTR be legal to import to the USA? 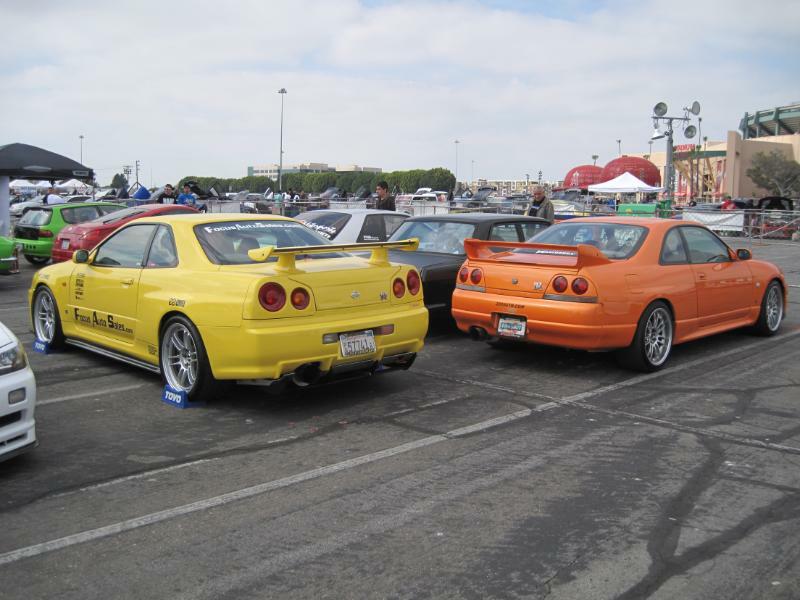 Vehicles over 25 years old are NHTSA exempt. 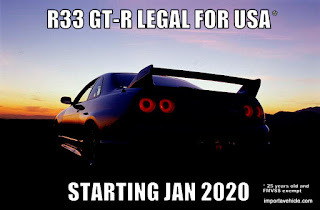 This means that you can legally import vehicles over 25 years old to the US, without having to meet any Federal Motor Vehicle Safety Standards. You don't need to replace headlights, tail lights, mirrors, speedometers, or glass. 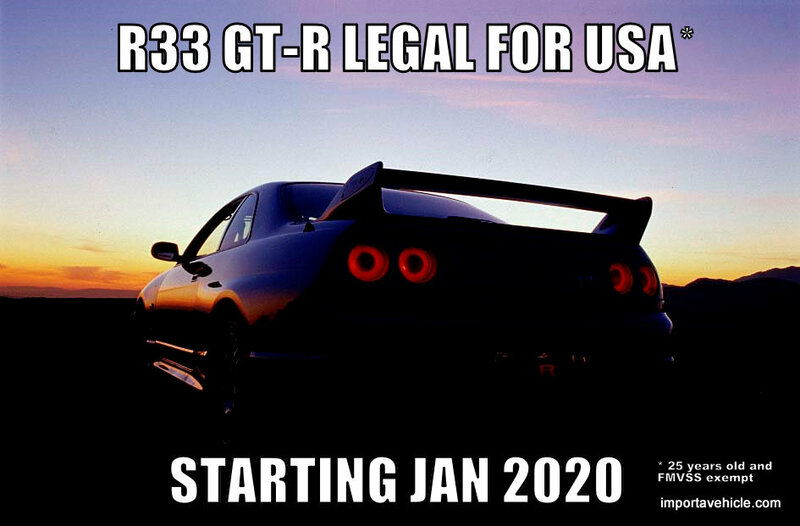 1996-1998 R33 are legal in the US currently, but have to meet US EPA and NHTSA requirements as part of VCP-32. This brings a huge cost element to the importation, more than most people are willing to spend. 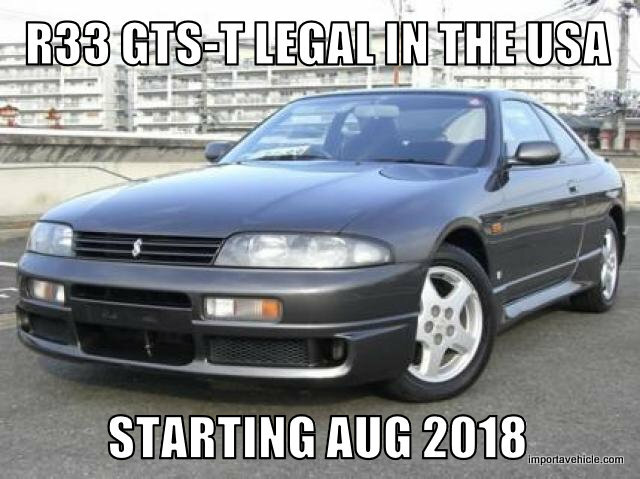 The R33 GTS were released in August of 1993, so in August of 2018, they start turning 25 years old. 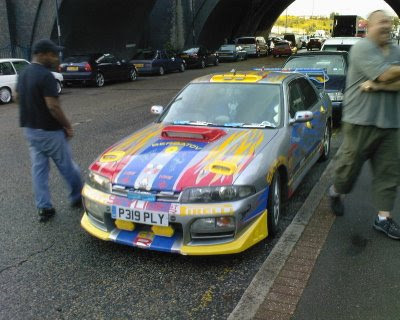 R33's can be imported now. 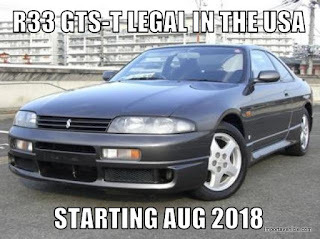 Directly from the NHTSA website.... "NHTSA has determined that the R33 Model Nissan GTS and GTR ("Skyline") passenger cars manufactured between January 1, 1996 and June 30, 1998 are eligible for importation and has assigned vehicle eligibility number VCP-32 to those vehicles."